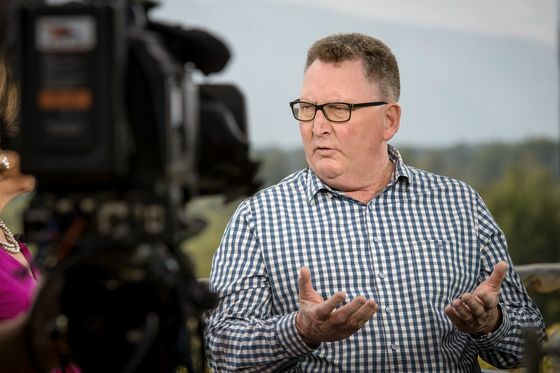 (Bloomberg) -- When Adrian Orr took the helm of New Zealand’s central bank a year ago today, hopes were high that the straight talker would usher in a new era of transparency and engagement on interest rates. Instead, he’s concentrated on banking reform and internal restructuring, eschewing public speaking on the economy outside of quarterly press conferences and parliamentary testimony. That’s frustrating some observers who want more guidance on monetary policy. Orr has given just three on-the-record speeches in the past 12 months, none of which addressed the outlook for the economy or rates. By comparison, his Australian counterpart Philip Lowe commented on economic conditions in 10 of his 12 addresses. Both central banks have held their benchmark rates at record lows for more than two years amid weak inflation, with Orr highlighting the risk of a rate cut as early as last August. “He was more on the money than we were about the extent of downside risks and the next move being up or down, so I would give him credit for that,” said Annette Beacher, chief Asia Pacific macro strategist at TD Securities in Singapore. But foreign investors, who hold 55 percent of New Zealand government bonds, need to hear more, she said. The risk is that a lack of communication can lead to market volatility. When Orr delivered a largely unchanged policy stance at his last rate decision in mid-February, the New Zealand dollar jumped 1.6 percent because traders had expected him to follow other central bankers in becoming more cautious. In the three months between the February decision and the previous statement on Nov. 8, there was no public comment on economic conditions. The RBNZ will deliver its next rate decision at 2 p.m. in Wellington on Wednesday amid fresh concerns about global growth. If Orr’s statement is again little changed, the kiwi dollar might experience another big jump, said Beacher. In Australia, investors and the public are used to more engagement from central bankers, with the Reserve Bank disclosing upcoming events and publishing most speeches, though Lowe doesn’t hold a press conference after his rate decision. The RBNZ, by contrast, gives dozens of briefings to interest groups that are not open to the public or media, and no speaking notes are published. Orr has continued that tradition, speaking at 13 off-the-record events in his first 11 months, according to the RBNZ. One of those closed-door presentations was hosted by Transparency International. Orr is overseeing the biggest shakeup at the RBNZ in three decades, with the introduction of a dual mandate and an enlarged policy committee with external members. Within a month of starting his job, Orr found himself reacting to Australia’s Royal Commission into banking and was soon co-leading a review of culture and conduct at local lenders. The RBNZ was also finalizing controversial proposals for bank capital reform, while Orr restructured his leadership team. There is optimism that new Assistant Governor Christian Hawkesby, who is leading the economic, financial markets and banking unit, will pick up the communications effort on policy, while new Assistant Governor Simone Robbers is expected to provide fresh oversight on strategy and communications. On Friday, Orr will speak publicly in Wellington about New Zealand’s new monetary policy framework, such as the enlarged committee, which comes into effect on April 1.